Across the country, many people have started or returned to school over the past two weeks. For those attending colleges and universities, a tuition bill awaited them. Thankfully, there are a number of resources available to help students and their families pay for their college education. Each resource has its own benefits and disadvantages that should be considered, and most often a student will end up using a mix of several resources. One big consideration is whether to take out student loans and borrow money for your education, or whether to use your current assets to cover some or all of the cost. Current assets could include things such as a student’s summer job or working part-time throughout the school year. Student loans are unavoidable for many students, and there’s no problem with that. A portion of student-loan interest can be tax-deductible, which helps lower the repayment burden. The government also offers some subsidized loan rates for students in need. Taking on some debt to be able to pursue a college degree is generally a great investment in your future. However, since it will need to be paid back eventually, it is highly recommended to only borrow what you need. For those planning ahead for future college expenses, whether for themselves, their children, grandchildren or whomever, beginning early is one of the most powerful steps you can take. A colleague of mine, Sheila Handrick, CFP®, has written specifically on the subject of saving for college—and one of the more popular education savings plans—in blog posts that you can visit for additional information. Keep in mind that there is also a very real problem with over-funded college savings vehicles. If a student ends up not going to post-secondary education or receiving some other type of aid or funding, unused balances that aren’t rolled over to other family members may need to be withdrawn altogether. Those balances would then be subject to income taxes and penalties. For parents and grandparents who are so inclined and able, gifting the tuition directly to the institution on behalf of the student may qualify for an unlimited gift exclusion and can still be deemed paid by the student (see Income taxes next). Your income tax return can also be an indirect way to fund a portion of college expenses. The American Opportunity Credit, for example, provides up to a $2,500 credit annually for the first four years of post-secondary education. Depending on income levels of the student and the parent, where applicable, some tax planning may be needed to maximize your benefits. 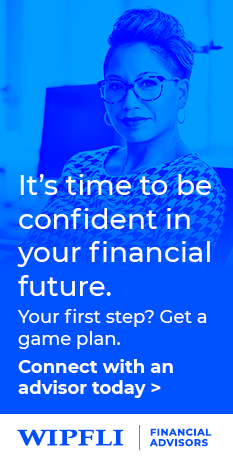 A trusted financial advisor can help you optimize your financial plan strategies for tax credits, federal aid and any educational savings plans. Outside of paying for college yourself or borrowing the money, there are opportunities to have a portion of your expenses paid for you. The Free Application for Federal Student Aid (FAFSA) should be completed annually to see if the student or family qualifies for any government aid. Scholarships and grants are also available for a wide range of candidates, including both need-based and merit-based awards. Filling out a scholarship application that results in a $1,000 scholarship would likely be two of the best hours a high school student can spend trying to pay for college. Pools of eligible candidates for each award will vary and range from being open to anyone or available only to a specific demographic (e.g. a child of a single parent pursuing a specific degree at a specific school). The high school’s guidance department or the college’s admissions office will be able to help students find and apply for appropriate awards. The final mix of resources available to and ultimately used by each individual student will vary, but by keeping all of these options in mind, students can help themselves most effectively invest in their college education and their financial future. Mark Albers, CPA, MST, CFP®, is a Senior Financial Advisor for Wipfli Financial Advisors in Green Bay and Appleton, WI. Mark specializes in estate, retirement, tax and charitable giving planning for individuals and families. Financial Planning	Big Windfall: What Now?